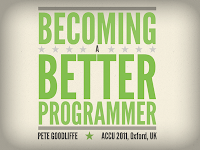 I will be speaking at the ACCU 2011 conference in Oxford this month. 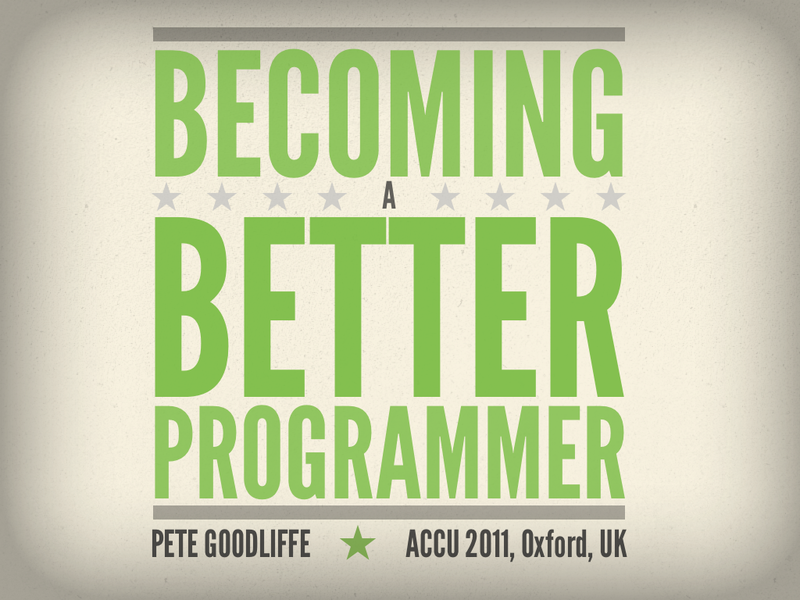 My talk is entitled Becoming a Better Programmer, and it's going to be great fun. And hopefully very useful, too. This year green is very much the new blue. Details (intentionally vague) on the session are here. I will also be speaking in the Key practices to cope with complexity session (details here). Let's hope I don't make my contribution needlessly complex.